Have a kitchen remodeler visit your Essex MA home today for an on-site estimate. O’Neil Fine Builders specializes in delivering quality home improvement services. Our company is dedicated to ensuring your complete satisfaction. You live in your home, and so should love it. We help you accomplish just that. Call us at 978-927-7711 or email to get in touch. Click here to view our design gallery. 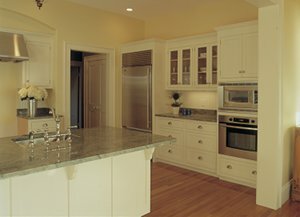 Contact O’Neil Fine Builders about your kitchen remodel in Essex MA today. Founded in 1990 by Jim O’Neil, O’Neil Fine Builders is the North Shore’s premier home remodeling company. With our over 20 years of experience and design know-how, you are guaranteed to absolutely love your new kitchen. Call us today at 978-927-7711 or use the contact form to your right to schedule an appointment with one of our kitchen remodelers in Essex MA. .